Last week, I told the story about how cytokinins as a factor that induced cell division and new shoot formation. The first in the class of molecules was the adenine derivative Kinetin. Kinetin is a synthetic molecule, or the product of rearranging natural ones when DNA sits out for many months. Carlos Miller also discovered the first naturally occurring cytokinin was from maize and called it zeatin. Zeatin is also a substituted adenine derivative. Many other cytokinins have been discovered as well. Plants have several varieties of N6 substituted adenine molecules that have cytokinin activity. I’ll walk through how cytokinin gets recognized in plant cells. And at least some of its downstream effects when it is recognized and the cytokinin system gets put into action. The cytokinin Trans-zeatin. One of many molecules known to have cytokinin activity. Any molecule, like a hormone, that is going to have an effect in a cell has to be able to be seen by that cell. In particular, if only a small amount of a molecule is going to have an effect. It’s possible to cause a response– usually a bad one– by exposing a cell to a vast excess of something…the dose makes the poison. In the genomes of organisms, some individual genes encode receptors for hormones. Individual genes get turned on and become proteins, that really do most of the work a cell does. They’re the machinery a cell has to carry out whatever job needs doing. In the case of hormone perception, a receptor binds that hormone. The receptor then lets the cell know that that hormone has been recognized, usually by sending a signal through other proteins to an end response. Proteins are also involved in the synthesis of hormones like cytokinin. The first cytokinin was discovered in 1955. It took almost 50 more years to identify a receptor for cytokinins. One of the biggest developments in plant biology over the last 20-30 years has been the identification of plant hormone receptors. The first cytokinin was discovered in 1955. It took almost 50 more years to identify a receptor for cytokinins. One of the biggest developments in plant biology over the last 20-30 years has been the identification of plant hormone receptors. Why such a long delay? Once you know the molecule, shouldn’t it be easy to figure out how it’s perceived? From previous experiments in genetics. However, just how many genes a given organism had (especially a complex one like a human or plant) and how they got turned on and off was not obvious. Even knowing genes coded for proteins still did not make it easy to figure out exactly what an individual protein did. Though talented biochemists did figure out at least what some proteins did, like hemoglobin. Technology and science in the 1990’s enabled some major breakthroughs. The adoption of so-called ‘model’ or reference organisms was in wide use. Fruit flies were among the first true models in science in use since the early 20th century. Baker’s yeast, mice, nematode worms, zebrafish, and the plant Arabidopsis thaliana (common names no one uses: Thale cress or Mouse-eared cress) are others. Models tend to have two features: ease of use and being able to grow lots of them in a small space. In the case of Arabidopsis, it was the 2nd published genome of amulti-cellular organism after the human genome. Like humans, Arabidopsis has about 20,000 genes. Arabidopsis has a much smaller genome, however (humans have a 3.2 billion DNA basepair genome, Arabidopsis is 125 million DNA base pairs in total). The first evidence of the cytokinin receptor had come from another tool available in model organisms: mutant screens. A mutant screen is done by actively mutating an organism with a chemical that damages DNA (remember, DNA is a specfic sequence of chemical letters). Then, the scientist puts normal and mutated population under a condition and looks for mutants in the population that no longer do what the normal plant does. It’s like figuring out how a bicycle works by removing the pedals and realizing it’s a lot harder to propel it forward without them. The initial screen that identified a cytokinin receptor was based on Skoog’s cell culture method. Recall that Skoog showed adding cytokinins to a plant cell culture causes shoots to form. Scientists found a mutant that no longer produced shoots, even when cytokinin was present. This mutant could have been due to several things, not a receptor. The scientists identified the gene they had mutated. And it was similar to other known receptor genes. Specifically, it was a lot like a receptor system know to exist in bacteria known as a two-component system. Subsequent experiments showed that cytokinin could bind to the protein produced by the gene. Further, they also found two other genes with similar to the cytokinin receptor in Arabidopsis that also turned out to be bona-fide cytokinin receptors. A broad outline of the cytokinin signaling pathway. Since their identification, cytokinin receptors have been confirmed in other plant species and the rest of the cytokinin pathway has been worked out as well. Cytokinins cause changes in gene expression and thus cellular structure and function. Plant scientists have been working out the contexts of cytokinin action. Different cells and tissues do not have uniform responses to cytokinin. In shoots, cytokinins tend to promote cell division. And cytokinin is a really important component of maintaining the shoot apical meristem. The meristem contains the population of stem cells where leaves, stems and flowers are generated over a plant’s life cycle. Cytokinins also play a role in the root, but there, they seem to promote differentiation more than cell division. These different functions are all in specific cellular/environmental/organisms contexts. Hormone responses depend on different sensitivity in some cells vs. others, the presence of inhibitory pathways, and more. In the case of cytokinins, the story of their role is still unfolding. Cytokinin signaling is an example of evolution using parts that are already present to form a distinct new pathway. It appears that the cytokinin pathway came into being when plants colonized land and became multi-cellular and more complex. The elements existed beforehand, but scientists have only found the full plant cytokinin signaling in terrestrial plants. Next week, I’ll talk more about receptors and just what it takes to identify one. And why it’s not a simple, or fast, process to figure out just what a protein is doing (in fact, many proteins have many jobs). In the case of cytokinins, the story of their role is still unfolding. Higuchi M, Pischke MS, Mähönen AP, Miyawaki K, Hashimoto Y, Seki M, Kobayashi M, Shinozaki K, Kato T, Tabata S,Helariutta Y, Sussman MR, Kakimoto T. 2004. 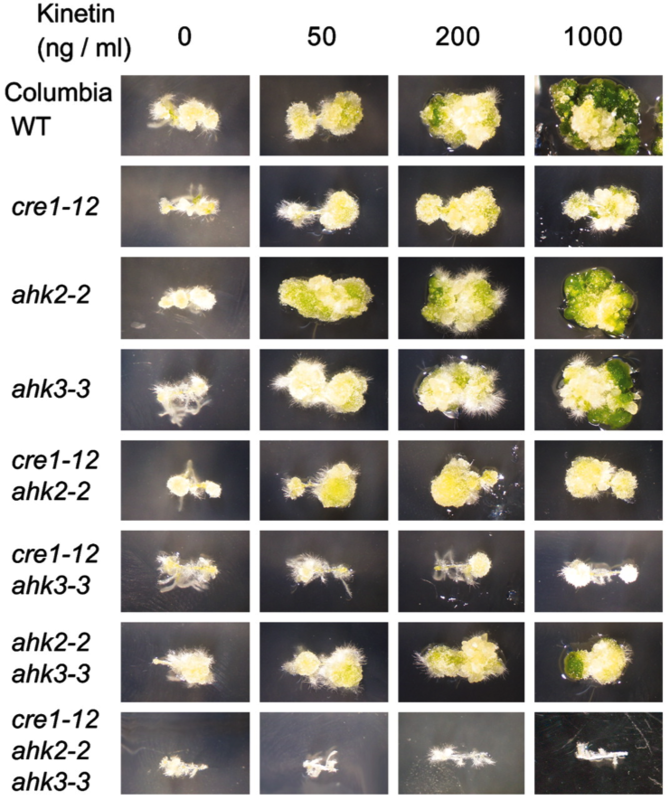 In planta functions of the Arabidopsis cytokinin receptor family. PNAS101(23):8821-6. Kieber JJ and Schaller GE. 2010. 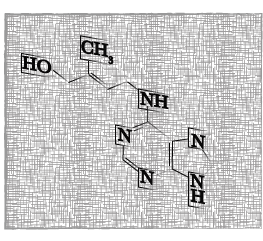 The Perception of Cytokinin: A story 50 years in the Making. Plant Phys. 154:487-492.